Simplicity is for seeking, not to be found. If finding simplicity was as easy as writing this, there would have been many more people aiming for that whereas seeking it in life is challenging but crucial for the mental peace. The Ambitious are those who seek simplicity and then preserve it for eternity to come. Simplicity and integrity are good in limits, a flood or a drought of the same, in human life, is equally fatal and destructive. Life does revolve around your actions, what you do irrespective of why you are doing that as reasoning counts for nothing, and that's why your actions speak louder than your voice. 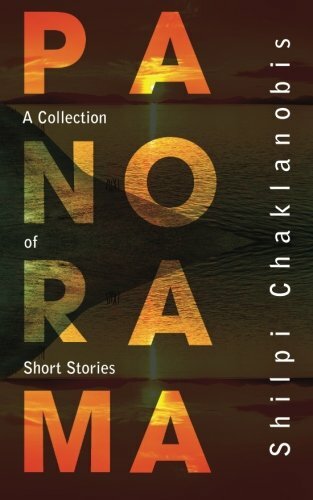 I recently read Panorama - A Collection of Short Stories written by debut author Shilpi Chaklanobis. The short stories in the book are as diverse as their characters, though it is taken for granted that every character has to tell a story, but the characters developed by Shilpi Chaklanobis in her short stories are in the prime of their affinity with the readers and the connect that they will develop with you, while you read the short stories, will take you through a journey that you have seen people around you sail through. Shilpi Chaklanobis hails from the Indian city of Kanpur and has spent her growing up years in the national capital, Delhi. 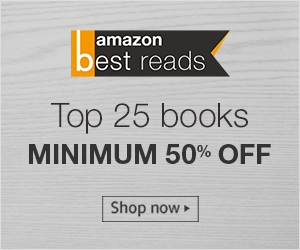 Panorama - A Collection of Short Stories is an anthology of 15 different stories which are a collection of observations from the common day to day, but the writings make them uncommon and the simplicity of the characters and narration make the stories unique to read. The titles of the fifteen short stories are mentioned below. The short stories, in Panorama - A Collection of Short Stories, are the author's perspective on the surroundings and the behavior of people under various circumstances. Some fly through the journey while many get drenched in the sorrows of life and the actions that they have taken. Though time is considered a healer, it always, is not. The emotional baggage that one carries takes over the simplicity and the quest to live life just gives up narrowing to a meager solution of self destruction. The stories are sensitive at large. My personal favorites from the 15 short stories in Panorama - A Collection of Short Stories are Wok, The Thirst, Selective Secularism and The Second Tsunami. The story of Wok is about the struggle of a mother, single mother from the BPL category to be precise, who wants to fulfill her daughter's dream which are as simple as having potato curry for lunch and visiting the village Mela but her excuse of not having a wok to do so, only made her daughter believe the mother but not the mother herself. Another story, "The Thirst", is about a daughter who always longed for her mothers love, but was denied because of her being ambitious and with time she realizes that no matter what, all her efforts will always go in vain. She gives up, moves ahead and there comes a time when she hears from her mother without knowing that it would be the last time. Last time for whom? That is for you to read and discover. Selective Secularism, as you would have already guessed by now, thanks to the title, is about the differences that exists within a family over the right and the wrong, over being secular and politically correct even when the life is at stake. All other stories were equally good too, they revolve around the darker side of humans, simplicity and their emotions but are appealing. I recommend this book to anyone who is interested in reading fiction and short stories.